I think there is something to be said for vintage photography and the varying looks that often accompanied it. But, what do you do to achieve that look in the digital age? Lightroom presets. This is a custom-developed preset specifically crafted for images shot in RAW to which you would like to add a subtle vintage feel. This is “#4” in a set of custom Lightroom presets that I’ve developed and used specifically for wedding photography, adding a classy retro feel those special photos which will last a lifetime. 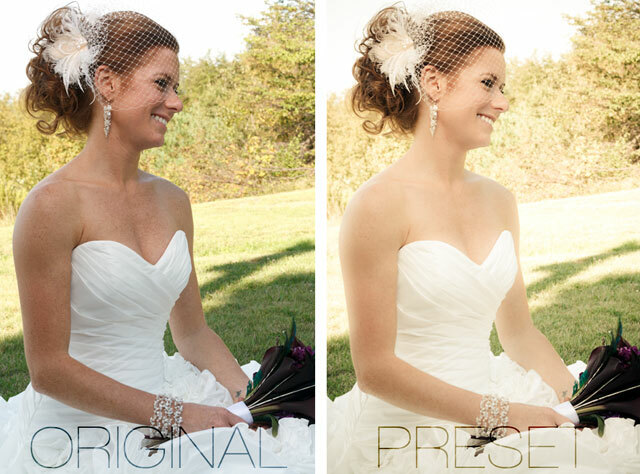 Used this preset yourself? Be sure to share your results!